115 Gibraltar Double Security Doors . Shown with optional transom. 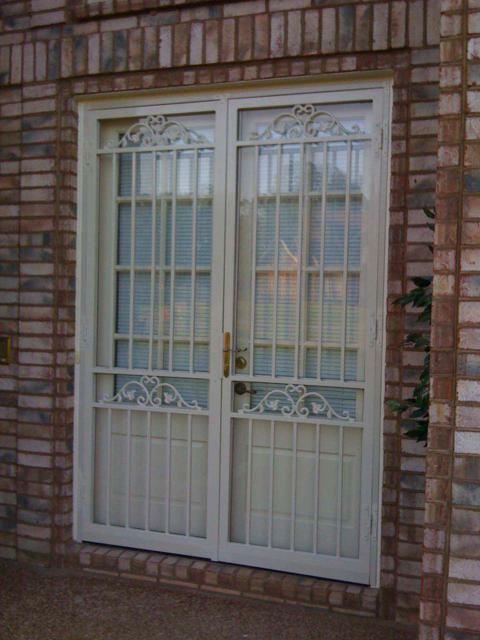 220 Double Security Storm Doors available in all sizes, 2 lock styles, 4 lock finishes and 10 powder coated colors. 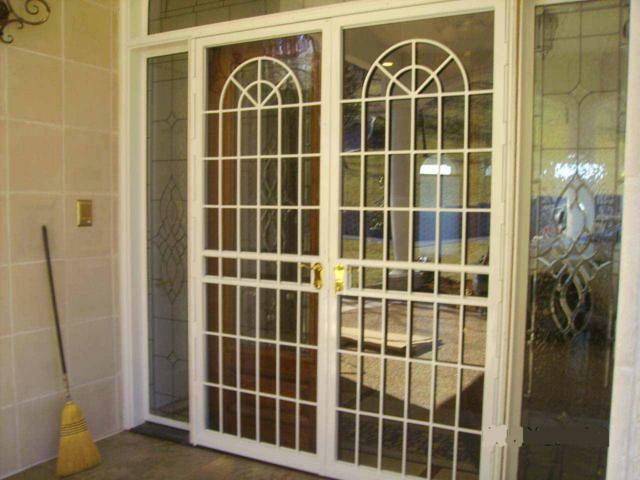 Available with high security laminated glass and steel zbar to provide the ultimate security for your home and family. 216 Modified Panorama Steel Double Security Doors with MMKP high security lockset with 1" deadbolt. Available in any size door with astragal and flush bolts standard. 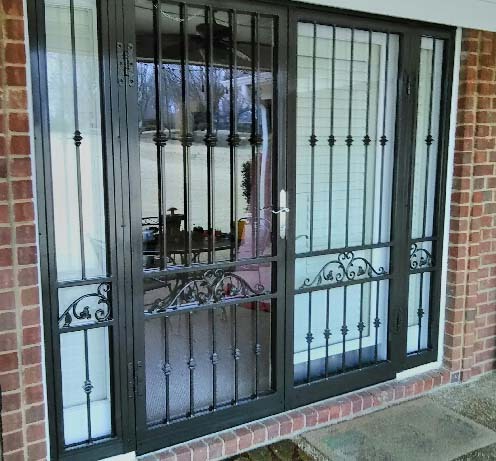 Butterfly doors are special styles that have a center hinge post allow both doors to be opened to clean behind the door on the inactive side. Available with all lockstyles and finishes in 10 stylish finishes. 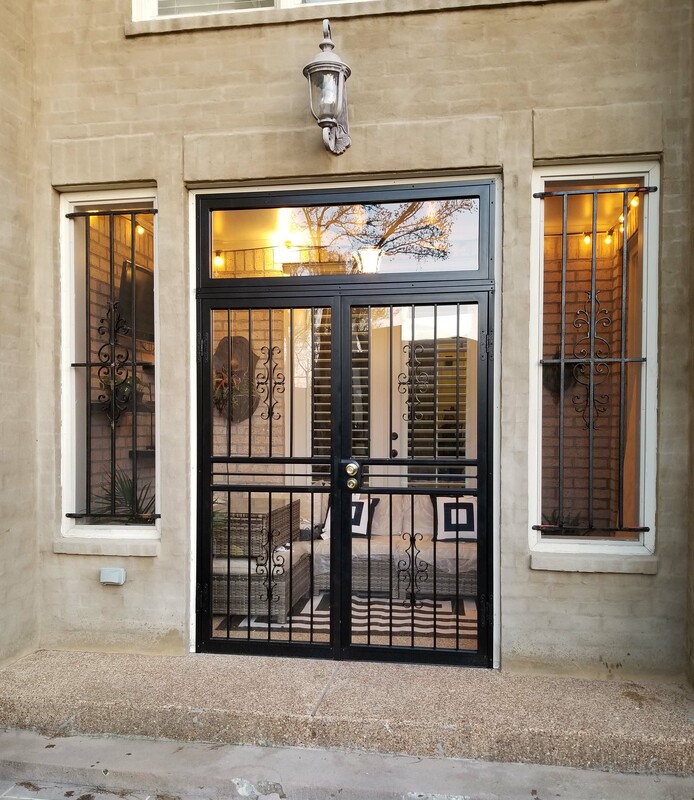 222 Steel Security Storm Double Doors available in any size double, arch, round cathedral top with transom and side lights in 10 stylish colors and many lock styles.